The Alpine area is composed of territories with different demographic, social and economic trends and a rich cultural, linguistic and biological diversity. This diversity goes along with a variety of governance systems and traditions. The region has a strong identity and a longstanding tradition in cooperation. This unique territory has important potentials for dynamic development, but is facing major challenges at various levels including the pan-Alpine, regional and local levels as well as in cross-border areas. These challenges refer for instance to the specific geographical position, globalisation, demographic trends, climate change and its impact on the environment, biodiversity, territorial pattern of activities and living conditions. The major challenge for the Alpine area is to balance economic development and environmental protection through common innovative approaches which go beyond administrative borders and strengthen the area as a living space for people and as a natural habitat, as well as a field for sustainable economic and social activities in a sustainable way. 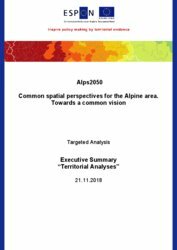 The perimeter of spatial perspective covers the different administrative extensions of the Alpine Convention, the Interreg Alpine Space and the EUSALP. During the German presidency of the Alpine Convention (2015-2016), the ministers responsible for territorial development of the Alpine states signed a Declaration for sustainable spatial development in the Alps. The Declaration identifies the following ten main challenges and topics: climate change, the adaptation to climate change and natural hazards; demographic changes and organization of work; transport and connectivity; settlement structure and land use; saving, production, supply and storage of energy; tourism; ecosystem functioning, ecological networking and biological diversity; vitality of the mountain regions and their small and medium-sized towns; preservation of cultural and natural heritage; improving governance, cooperation and organizational needs. Ministers expressed the need to develop spatial perspectives and a vision for the Alpine area. The process to build such a vision and perspectives as well as the perspectives and vision themselves would greatly contribute to policy making by helping reduce obstacles to a common sustainable territorial development as well as strengthening joint actions. The latter aim at coping with challenges for the Alpine area, considering the wider context of cooperation provided i.e. by EUSALP and the Interreg Alpine Space Programme. In a unique, fragile and yet dynamic area such as the Alpine area, a common approach to spatial development is particularly important. A vision and common spatial perspectives would facilitate and improve harmonized cross-border territorial development. They would address the need for planned and coordinated development in the ten fields identified by the Declaration (see above) – and others, if relevant – and the latter’s influence on the regional economy, innovation landscape, rural areas, settlements, protection of landscapes and nature, transport and mobility as well as on quality of life. 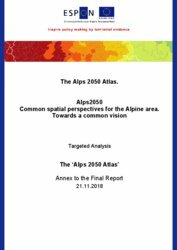 A vision and perspectives could be a foundation for further place-based cross-border and transnational cooperation and would help to identify further options for development for the Alpine area. 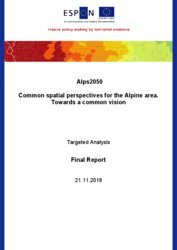 The vision and spatial perspectives could also be used to contribute to other strategic cooperations in the Alpine area, such as Alpine Convention, EUSALP, and the Interreg Programmes. 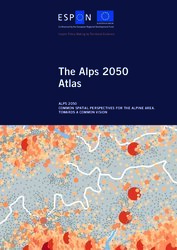 The topic of Alps2050 is very relevant to many other European regions as a similar territorial diversity can also be found in many other mountain ranges in different countries of Europe. Some of them have established similar treaties to the Alpine Convention, e.g. the Carpathian Convention. 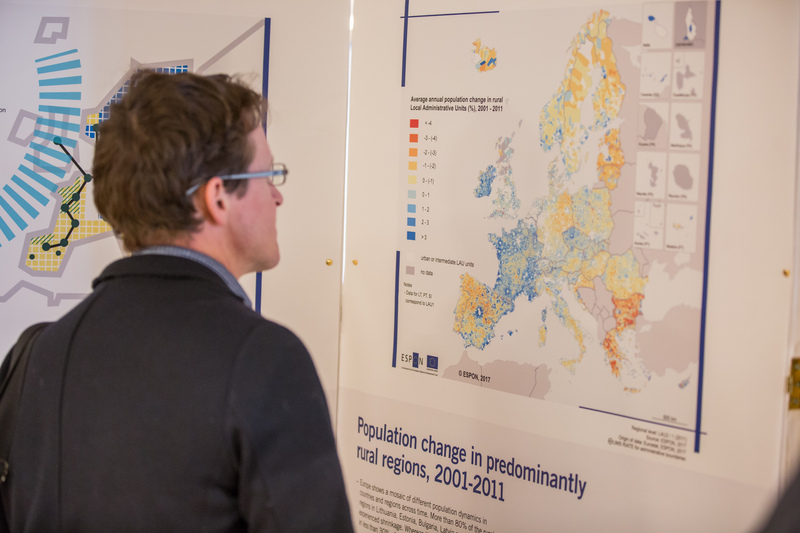 These regions could benefit from the results of Alps2050 to develop their own strategies for common spatial development. In general, not only mountainous regions, but also other types of regions engaged in territorial cooperation could benefit from the outcomes of this targeted analysis. A territorial vision and common spatial perspectives for the Alpine area, which can (1) indicate how developments in selected thematic fields can influence sustainable territorial development and enhance territorial resilience, including ecosystem functioning and biological diversity until 2050; (2) identify broader impacts of the main developments in the selected thematic fields on different types of territories in the Alpine area (e.g. rural areas, urban areas). A set of maps and related data showing the current state in the Alps concerning the selected thematic fields mentioned above. A set of illustrations, projecting the possible development trends of the selected thematic fields until 2050. A set of illustrations/schematic maps showing options for policy development for each of the selected thematic fields mentioned above. Suggestions for more effective solutions for balanced sustainable development in the context of territorial cooperation as well as help to strengthen informal and formal cooperation between actors in a sustainable way. Guidelines for the development of spatial perspectives and a spatial vision that can be used beyond the geographical scope of Alps 2050 by other European transnational cooperation areas (e.g. 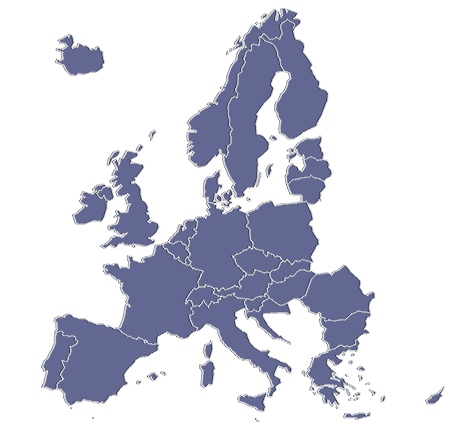 European macro-regions).